So, if you’ve been on Pinterest or the blogosphere recently, I’m sure you have encountered the chalk paint craze. If you haven’t heard of chalk paint, let me enlighten you. I am not referring to the chalk-board paint that you can get from Big Blue or Big Orange or any other Home Improvement store (though you probably could use those too). It took me a little while to get the distinction and what all the hubbub was about. I’m referring specifically to Annie Sloan Chalk Paint, which is a specialty paint for achieving that old world french country look so popular in home décor. 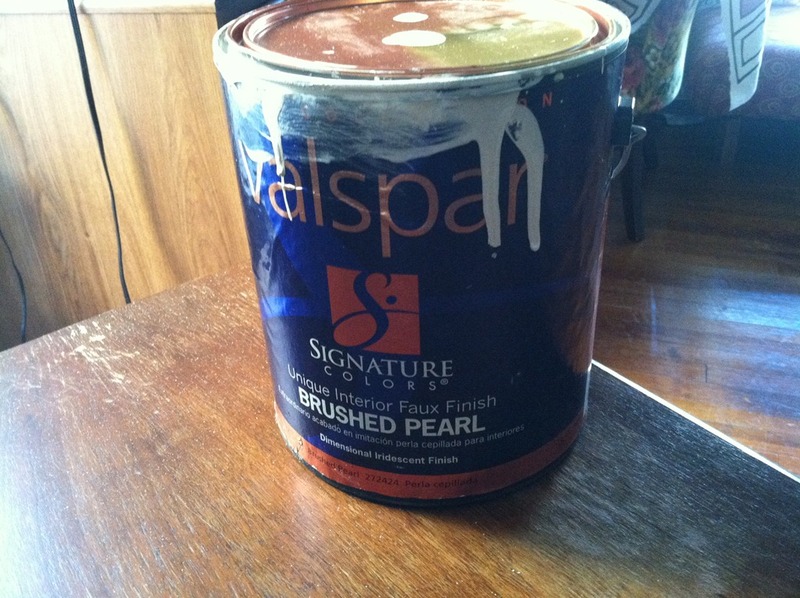 I was drawn to this paint specifically because of the claims that you do not have to sand or prime your piece first. I think the french country look is just fine, but I wasn’t really going for that look. I just didn’t want to sand or prime first, with all the wood I have to paint! By all accounts, all you have to do is thoroughly wipe down your piece with TSP, and you can start painting. 2 –3 coats of this magical paint, and you can be done. As a lover of instant gratification, this is right up my alley. After 3 years of living with my cabin retreat kitchen, I was finally ready to dig in. Alas, the paint is through-the-roof expensive at $38.95 per quart! Yikes! 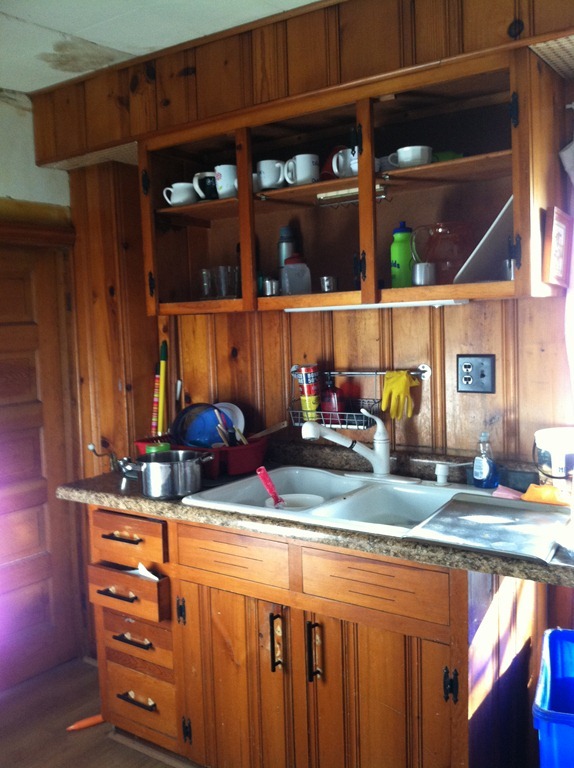 With all the wood I have to paint… And this is just one side of the kitchen. There’s plenty more wood where that came from. (the additive being either Plaster of Paris, which I used, or Calcium Carbonate powder or unsanded grout). After a bit of research and and a few practice pieces, I dug in with my cabinet doors. 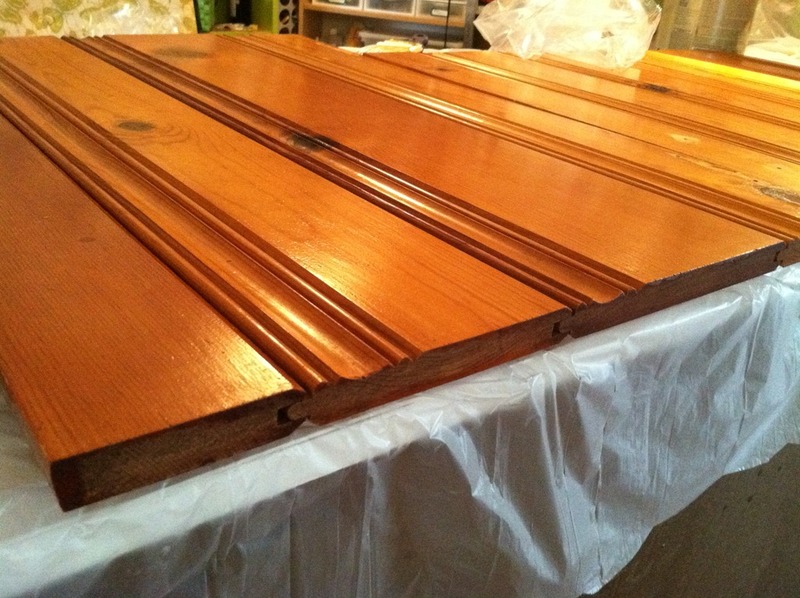 You are supposed to apply 2 (or more) coats of the Chalk paint, distress the piece if you want, then seal and buff to a beautiful finish with a paste wax (either the Annie Sloan brand, Briwax, or Trewax). 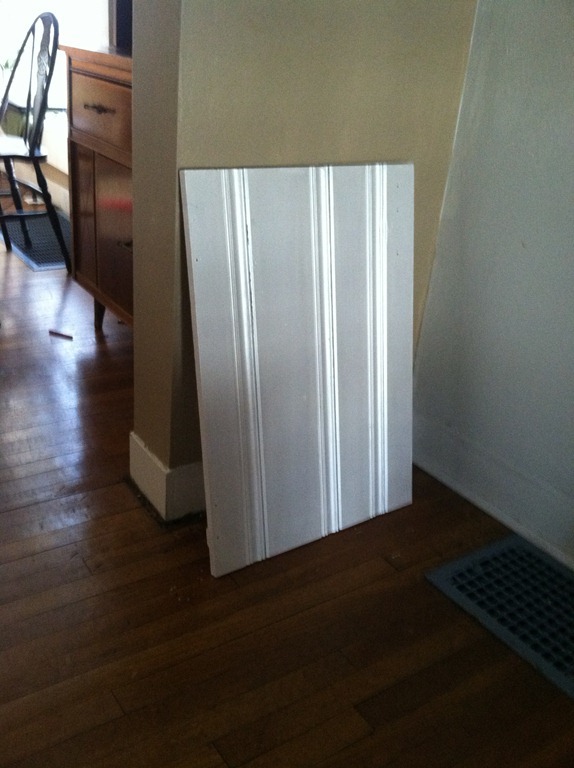 For my cabinet doors I opted to go with a topcoat of Pearl Paint that I found at my local Habitat For Humanity Restore for $7.50 for the whole gallon. I love The HFH Restore! Make sure you support yours if you have one locally. 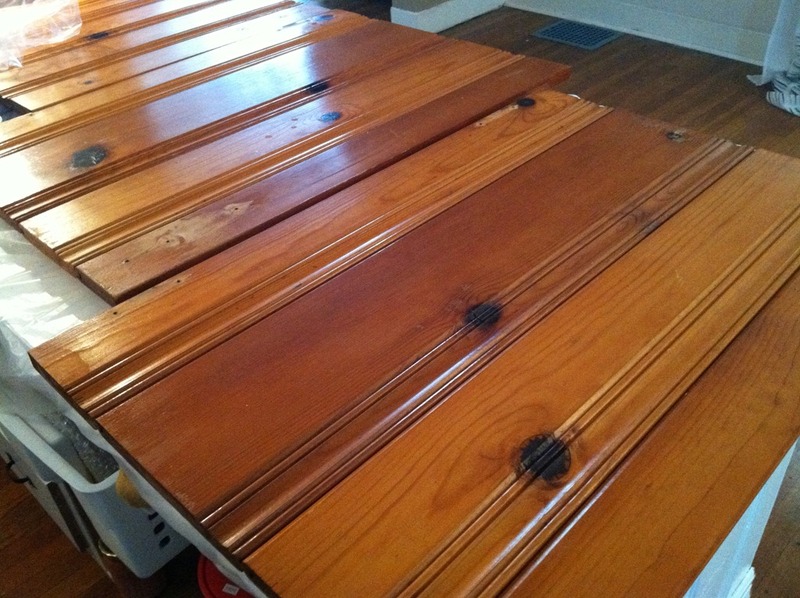 Here are the cabinet doors after thoroughly wiping them down with TSP. (You don’t want to know how much gunk I scraped off the edges. Who knew that cabinet doors hold so much grime!?) 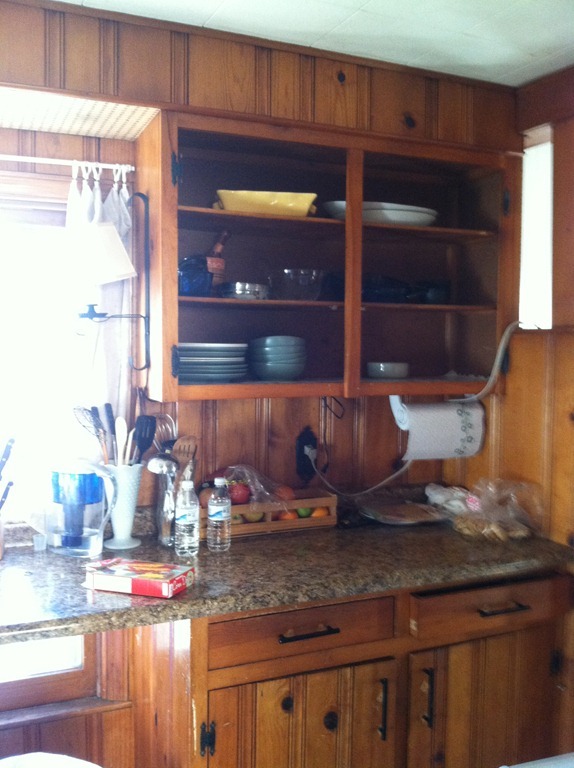 As you can see, the cabinets are pretty well coated with some sort of sealer. 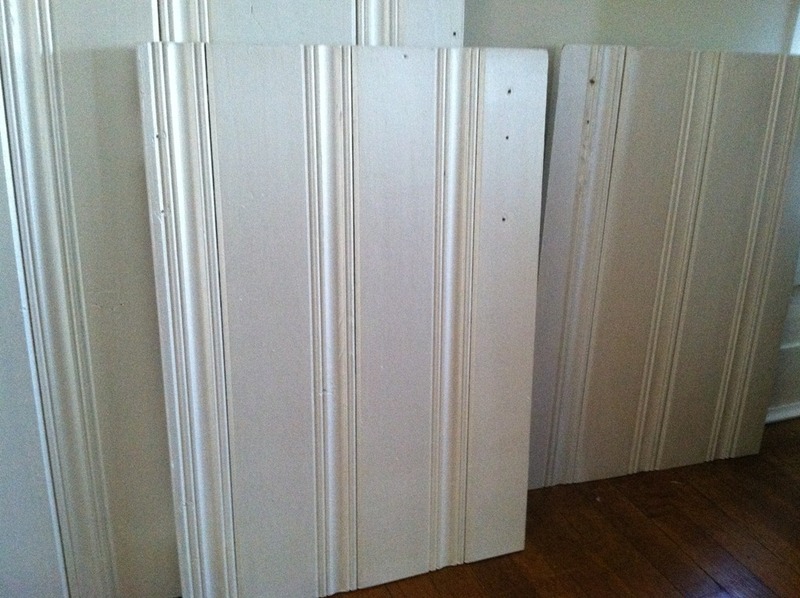 And here they are after 2 coats of my Homemade ChalkPaint and 2 coats of the Pearl Finish paint. 1. Mix your paint thoroughly so there are no lumps or dry pockets of powder. 2. Thoroughly clean your surfaces with TSP (available at your local walmart, paint or hardware store). This is crucial. You do not want to paint over dirt and grime. 3. DO NOT SAND. I mean, you can if you want to, but you don’t have to. 4. 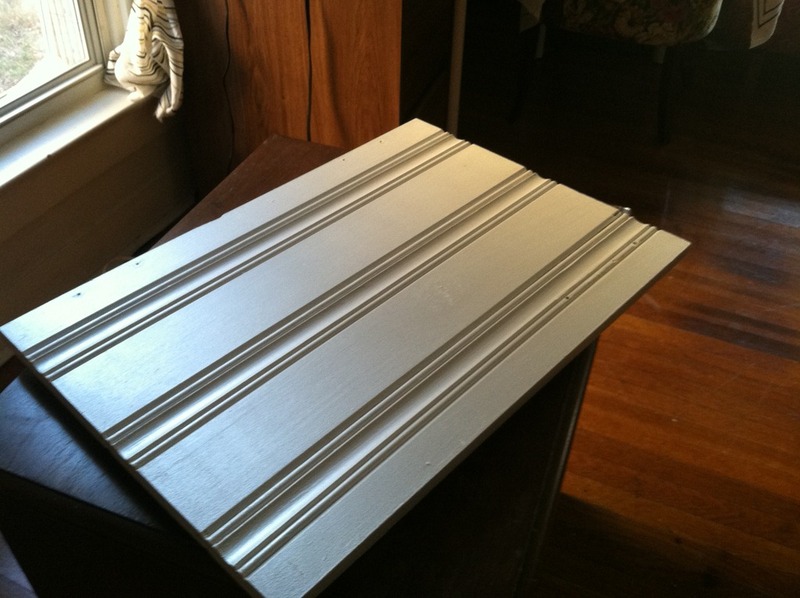 For my chalk paint, I used Behr Premium Ultra White mixed with Plaster of Paris. For the top coat I used the Pearl paint as it was with no Plaster of Paris. 5. Paint with either a foam brush/roller or a nice short angle sash brush. My favorite is the Wooster Short Cut. As you can see, I had/have a lot of grooves to paint. Personally I never really had much luck with the foam brushes, but my Wooster never disappoints. I ‘cut in’ the grooves first, then roll the flat areas. For the flat areas, I just use a small foam roller such as this one. The cabinet doors have been curing for a few days now, and will be ready to put back up when I finally finish painting the bases. The kitchen is a work in progress, and I will keep you updated. Now, go mix your own chalk paint (or buy it, your choice) and paint something! Absolutely cool! You know I know that kitchen, so I understand how much work you still have to do. lol The paint is gorgeous and your room is going to seem that much larger when you get done. Oh, I’m already so excited for you! * At my new job, there is a HFH Restore across the street!!! thanks! I dread and look forward to it all at the same time.